The Chain Clamp is designed and manufactured with welders in mind. When a high quality weld through precise alignment is needed, this adjustable pipe clamp is perfect. Offering excellent versatility with options for pipe-to-pipe fit-up and alignment from 4” to 72”, the Chain Clamp is more or less a one-size-fits-all line up clamp. 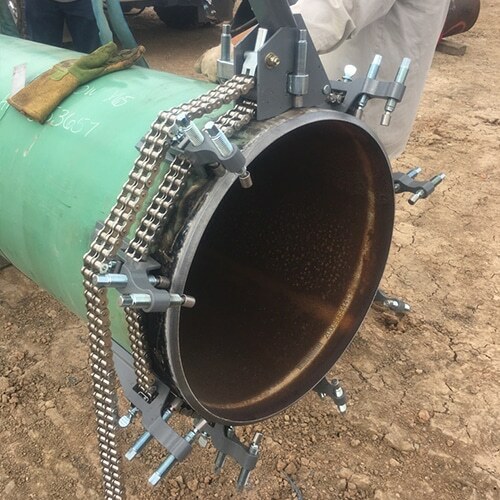 This alignment clamp packs a serious punch with the ability to reform pipe up to Schedule 40 and to align pipe up to Schedule 80, yet its lightweight construction also makes it an easy-to-use and easy-to-transport external line up clamp. The Sawyer Chain Clamp can even be used as a single jackscrew clamp. One Chain Clamp can do the job of many bulky cage clamps, saving time and money when needing an adjustable pipe clamp. When more muscle is needed, the Double Chain Clamp is designed for aligning and reforming pipes and vessels as large as 6 meters (20’) in diameter and up to Schedule 80. 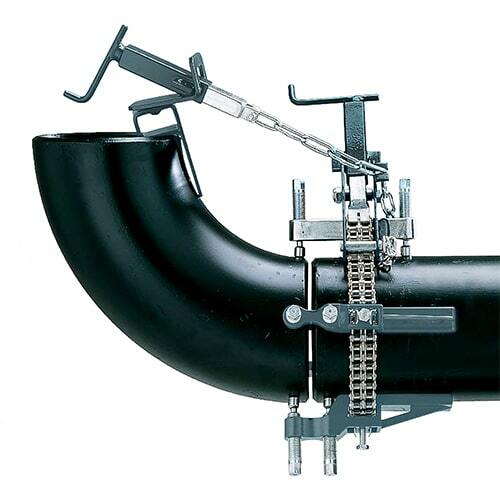 If no reforming is required, then the clamps can be used to align pipes over Schedule 80. Specialized heavy duty jack bars and main blocks can deal with even the most difficult of reforming jobs. Clamps can be supplied with an optional level and support device or a pull lift (come along) for larger pipes if required, and each one is supplied with a torque wrench as a standard feature. This is set to ensure the correct pressure (150 mm) is applied to the chain, unlike hydraulic systems that risk stretching the chain and/or applying too much pressure to the pipe, risking the integrity of the clamp. The adaptable jackscrews permit proper alignment of tees, elbows, or flanges, and they can be welded without removing the alignment clamp. 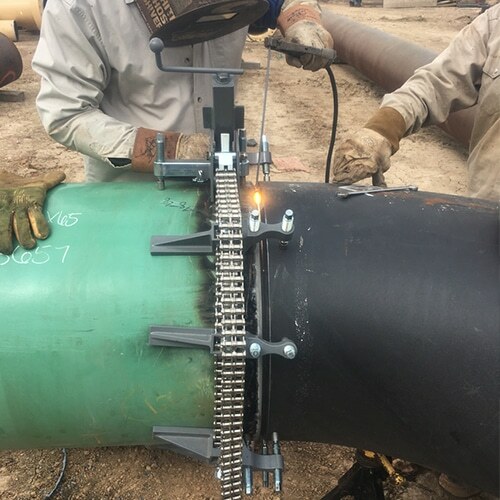 Sawyer Chain Clamps and Double Chain Clamps sold in international markets offer color-coded steel and stainless steel options, allowing quick recognition when setting up this pipeline welding clamp in the field. 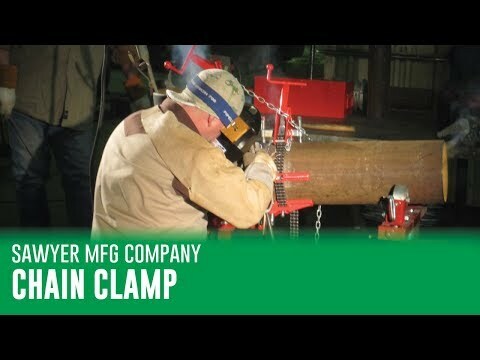 When aligning pipe for welding, there aren’t many options superior to the Sawyer Chain Clamp.